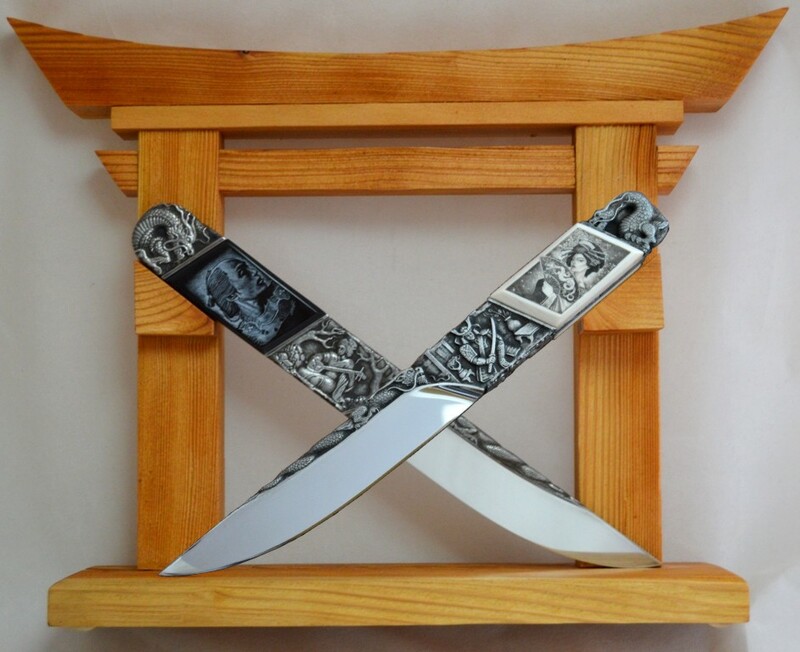 Bolster – Mosaik damast Gregory V.
Full hand carved steel with 3d relief s and scrimshawed handle . 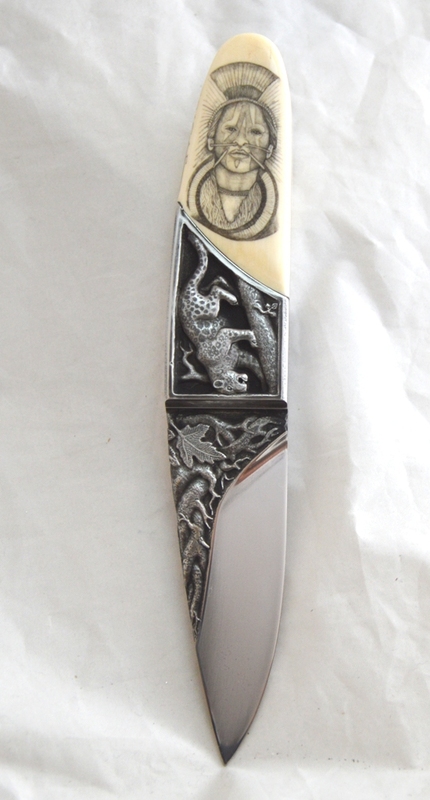 Handle – Elforyn is a high-grade ivory substitute material that has a high mineral content. 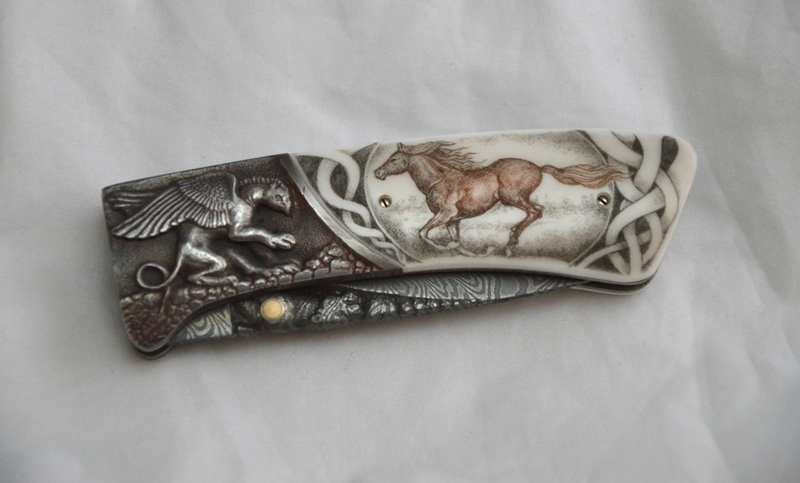 Full hand carved steel and copper . 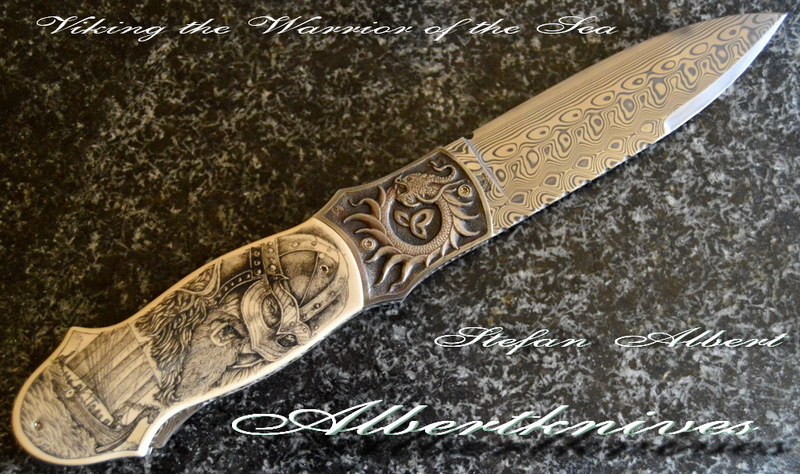 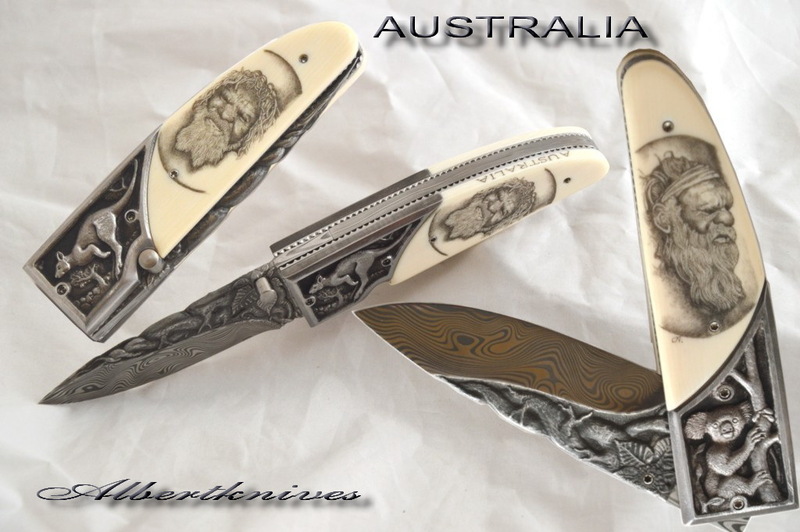 Decoration – both side carved blade,carved bolstrers,scrimshawed handle . 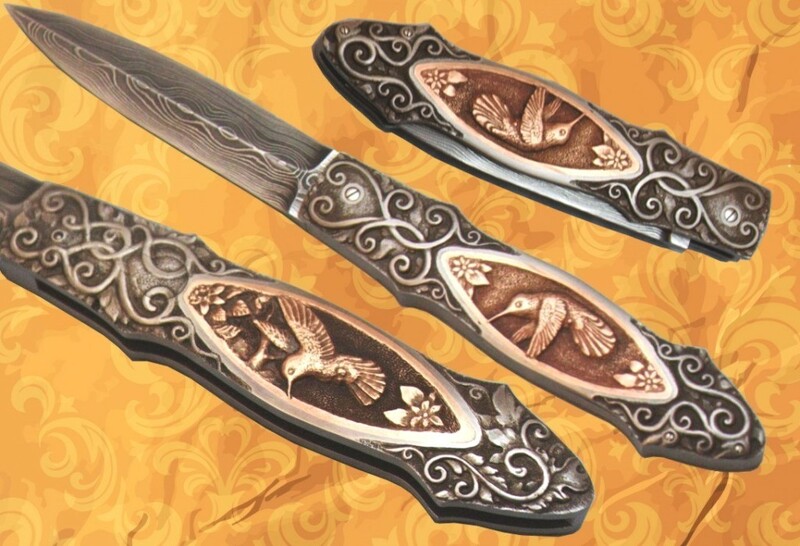 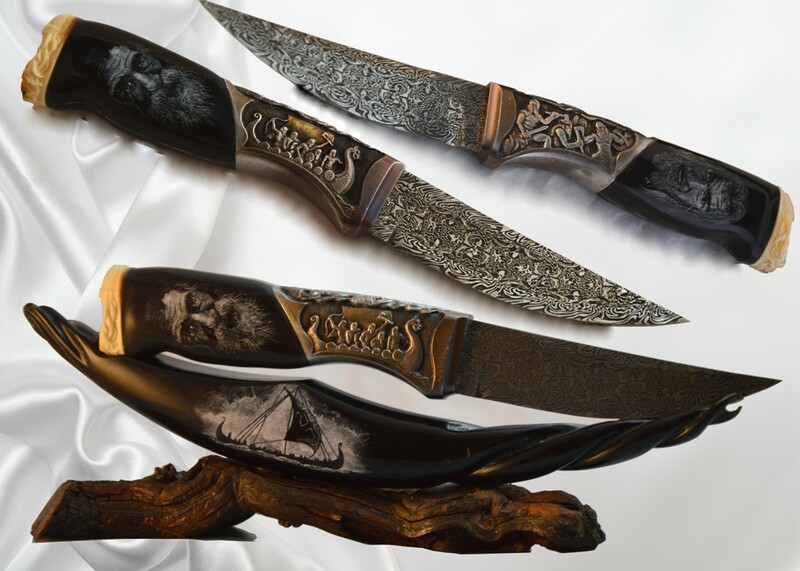 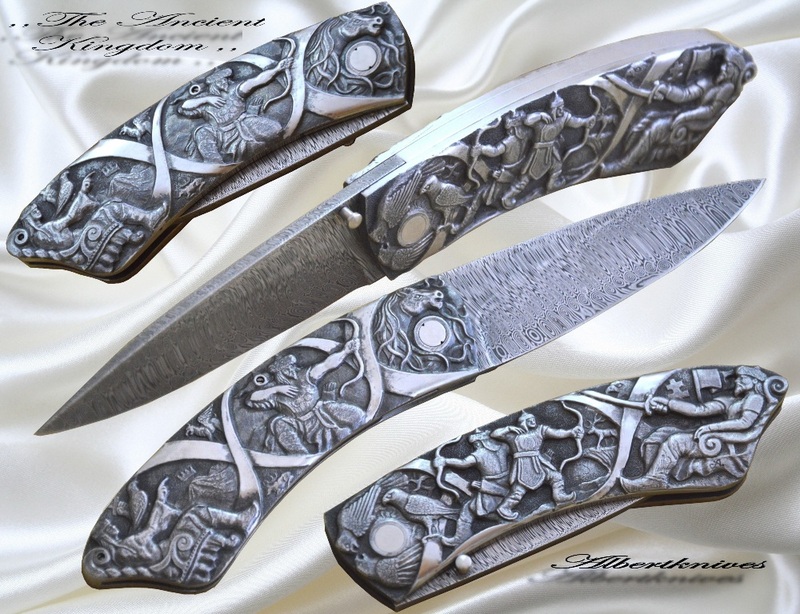 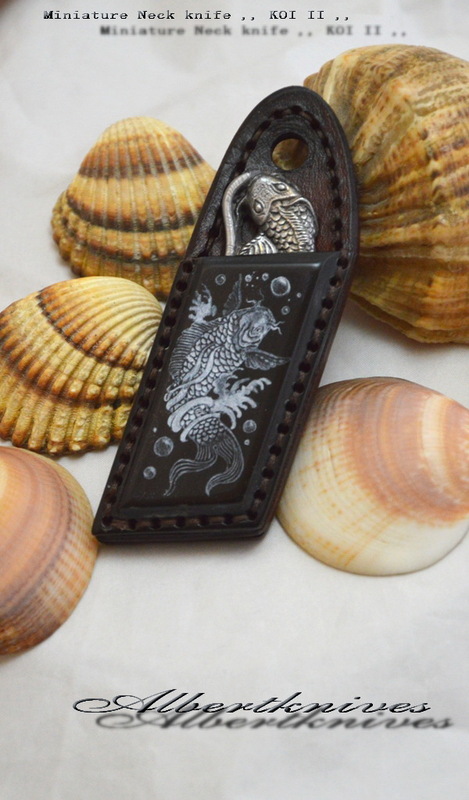 Decoration- carved steel with 3d relief carving /elephants/,carved steel bolsters,carved and scrimshawed handle . 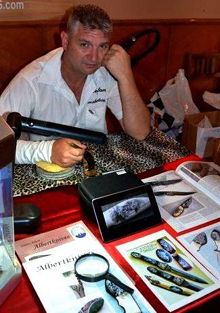 Cooperation work with Ondrej Berkus. 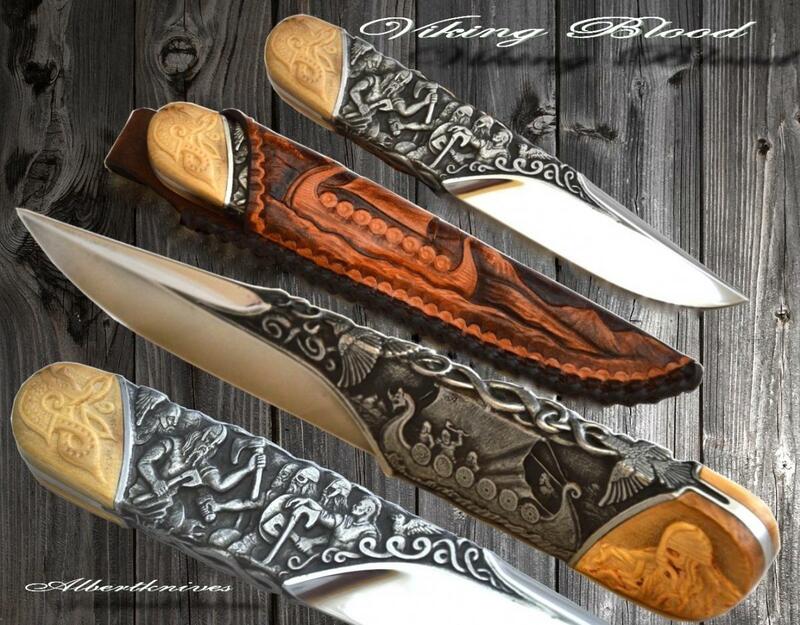 Stage- wat.bufalo horn ,walnut,deer antler and carved skin combination ,decorated with negative scrimshaw . 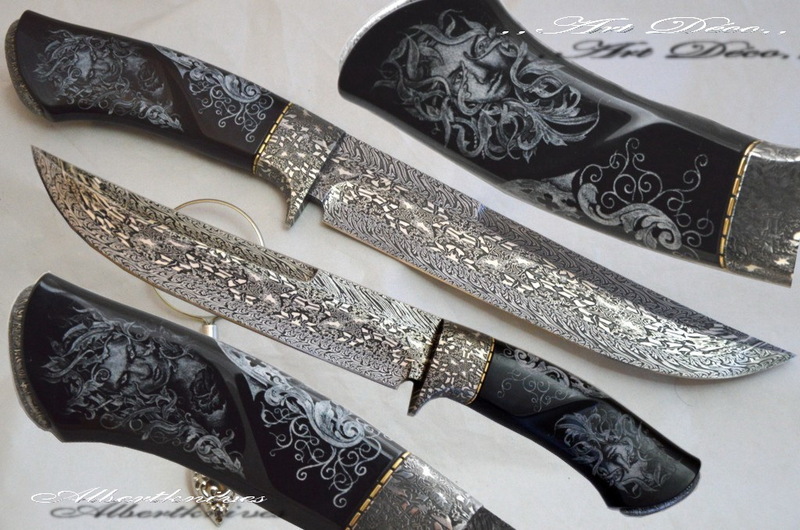 Description- Blade ,bolsters and Handle is relief carved .